That remains the toughest question my children have ever put to me, bar none. 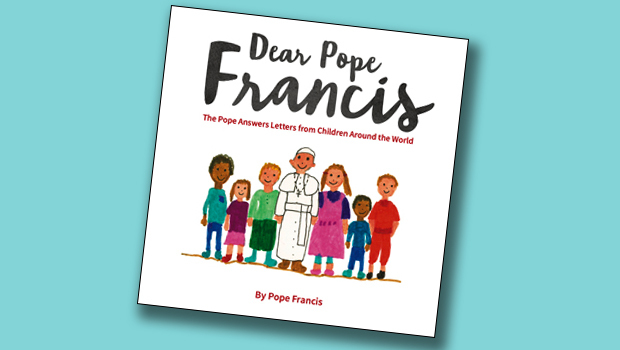 In his newest book, “Dear Pope Francis” (Loyola Press, Chicago, 2016; 76 pp., $11.55), the pope takes on the tough and direct questions that kids will ask. There is 9-year-old Michael from Nigeria wondering, “How can you settle conflicts in the world?” and Thierry who wants to know why so many people are poor and hungry: Can’t God feed them? 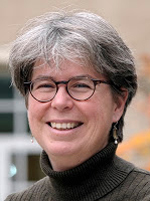 The book lists the authors as Pope Francis and the children of the world, and it’s clear from the start that this was a collaborative work between the leader of the Church and her members. More than 250 children from 26 countries sent letters and drawings to Pope Francis. Father Antonio Spadaro, S.J., met with the Holy Father and recorded his answers to the questions posed in the letters. He then transcribed and edited the responses. The children’s drawings are reproduced alongside the pope’s answers, which truly bring the young writers alive. Father Spadaro writes in the afterward that he found transcribing the conversation an extended meditation, and I found reading the book to be a similar experience. I ended up reading it in a few sessions, stopping when I wanted to spend time with an answer — or a question. I don’t have young ones at home any longer, so I couldn’t try it out on its intended audience. But I do know that my sons would have appreciated the pope’s directness and humor, and I would have treasured his wisdom when faced with tough questions from my passengers. Some of the questions are poignant. One young boy wonders if his mother in heaven has grown angel wings. No, Pope Francis tells him. She is still your mom, but she is beautiful and full of light and love for you. Others wonder about who gets into heaven and whether bad people still have guardian angels. We learn a lot about Pope Francis and his job as we go. He can pray in a dentist’s chair. He loves to play soccer, but hasn’t a nimble foot, so he’s not very good at it. We learn he is happiest in his job when he is with other people, and why he needs such a tall hat. But in each answer, the pope takes the children, and us, a bit deeper. Would that we could all learn to pray wherever we were, and to more fully express our joy in God. I sense Pope Francis’ awareness of the parents and other adults who are listening in the background to these exchanges, nudging them to think again about the tough questions, the questions that as adults we fear have no answers, that we might long ago have given up even asking. I found myself returning again and again to the Holy Father’s answer to young Thierry about poverty and hunger. “The real problem is that some of those who have plenty do not want to share it with others.” What do I have more than enough of? Where am I unwilling to share? Reading this book I was struck by Pope Francis’ tenderness. He is never saccharine, he never speaks down to the children, he is direct and firm. Above all his joy in the Gospel and his deep love of God comes through in every response. When 11-year-old Clara, from Ireland, asks him if he thinks that he is really a father to us all, he tells her that he does feel like a spiritual father to us all, and that he likes being a dad. This is a book by a holy father, indeed, who clearly loves all his children, young and old.